Inflammation is a biological response to some type of injury or infection, and it is usually characterized by swelling, redness and tenderness. There are several medicinal and nutritional approaches to reduce inflammation. Increasing your intake of certain key vitamins is one of them. You can do this by taking these vitamins in supplement form or by eating more foods that naturally contain them. According to "The Inflammation Syndrome: The Complete Nutritional Program to Prevent and Reduce Heart Disease, Arthritis, Diabetes, Allergies and Asthma" by Jack Challem, vitamin E has powerful anti-inflammatory properties, and is clinically proven to reduce the risk for inflammatory diseases including heart disease, Alzheimer's disease, arthritis and allergies. A study published in 1967 in the scientific magazine "Nature" concluded that vitamin E is an effective anti-inflammatory agent, and another study published in August of 2008 in the "Journal of the American College of Nutrition" found that in conjunction with vitamin C, vitamin E lowered inflammation and improved insulin action in older patients with glucose disorders. Integrated medicine physician and author Dr. Andrew Weil recommends 400 IU of vitamin E daily as part of a vitamin and mineral cocktail designed to reduce inflammation. "The Vitamin D Cure" by James Dowd, M.D. and Diane Stafford cite a report by the Iowa Women's Health Study that says women who regularly supplemented their diet with vitamin D were less likely to develop inflammatory rheumatoid arthritis that those who don't. 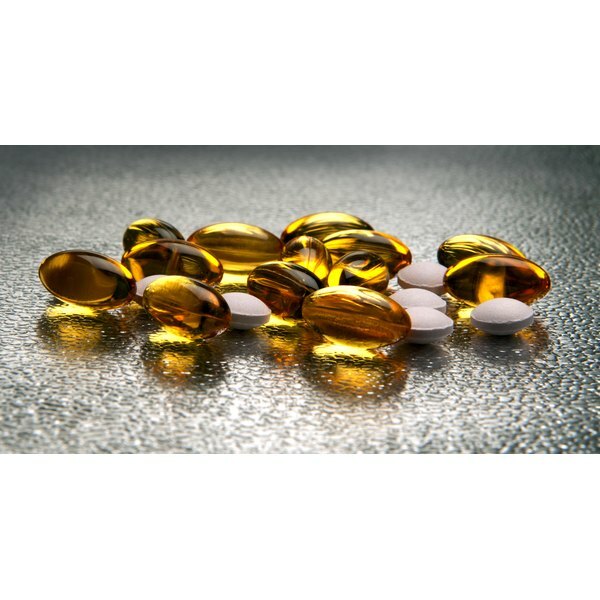 The study also showed improvement among those who already have rheumatoid arthritis after taking a vitamin D supplement. Similar anti-inflammatory effects were observed in animal studies. According to "The Power of Vitamin D" by Sarfraz Zaidi, M.D., vitamin D's anti-inflammatory effects also have applications in dentistry, helping to reduce the inflammation associated with gingivitis. Clinical researchers at National Jewish Health in Denver, Colorado revealed in 2010 that vitamin D can make the anti-inflammatory effects of asthma medication more effective and that children who suffer from asthma tend to have lower vitamin D levels. The University of Maryland Medical Center lists vitamins B6, B9 and B12 among its list of anti-inflammatory vitamins and minerals. B6, also known as pyridoxine, has been prescribed to arthritis sufferers because of its ability to shrink inflamed membranes surrounding weight-bearing joints, according to "The H* Factor Solution" by James Braly, M.D. and Patrick Holford. Braly and Holford also cite a study conducted by the American College of Nutrition that found B12 supplements to be more effective on average for reliving tenderness among 26 patients who had been suffering from arthritis for at least five years. According to "Brain Protection in Schizophrenia, Mood and Cognitive Disorders" by Michael S. Ritsner, clinical studies found a correlation between B12 deficiency and advanced cognitive impairment in patients with Alzheimer's disease, leading researchers to hypothesize that B12 possesses anti-inflammatory properties that protect the brain. Can Vitamins Remove Age Spots?